Home > Posts by Latter-day Saint Bloggers > Announcement from the Church of Jesus Christ of Latter-day Saints regarding the Home Storage Centers. Within the last couple of months, the Church has made some significant updates to their welfare centers. 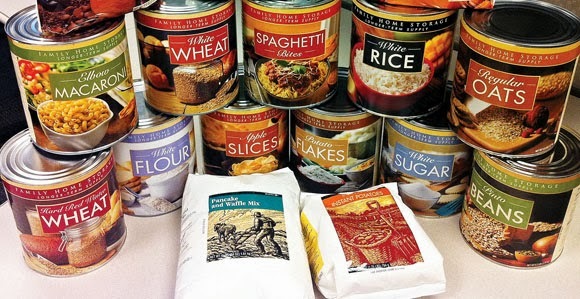 Now it’s even easier for members to get and maintain food storage items, as the LDS home storage centers have changed from self-packaging to prepackaging (already packaged and available for purchase). Now members can visit their local storage center and purchase what they need without the additional time and labor that comes with self-packing food items. With this change, it also allows for expansion of the products. Brother Johnson explained that by November 1 they intend for all 101 storage centers in the U.S. and Canada to have nine new products for a total of 17 that will be prepacked and available for members to purchase. Some of the 17 products include apple slices, macaroni, powdered milk, hot cocoa mix, and sugar. “We’re trying to help members prepare their food storage to follow principles for a long-term basic storage in a way we can help them best fulfill becoming self-reliant,” said Brother Johnson. Self-reliance is an important aspect of the gospel, as members are counseled to provide for themselves and their families. President Spencer W. Kimball said, “The responsibility for each person’s social, emotional, spiritual, physical, or economic well-being rests first upon himself, second upon his family, and third upon the Church if he is a faithful member thereof” (“Welfare Services: The Gospel in Action,” Oct. 1977 general conference). The Church produces prepackaged food, such as white flour, at Deseret Mills in Kaysville, Utah. Photo courtesy of Welfare Services. As such, these changes will reduce cross-contamination, freight and sanitation costs, facility space requirements, and complexity for volunteers while increasing safety to volunteers and patrons, customer satisfaction, regulatory compliance, food safety, and efficiency. Despite the packaging change, there are still 12 storehouses located in the western United States and Canada that will continue to offer self-packing. Being able to purchase what you need without investing the time to pack the food. Having 17 products prepackaged will make the availability of food items more universal to more people world-wide. A matter of preparedness : Announcement from the Church of Jesus Christ of Latter-day Saints regarding the Home Storage Centers.